What a unique way to represent your family members on one bracelet – a birthstone for each person! 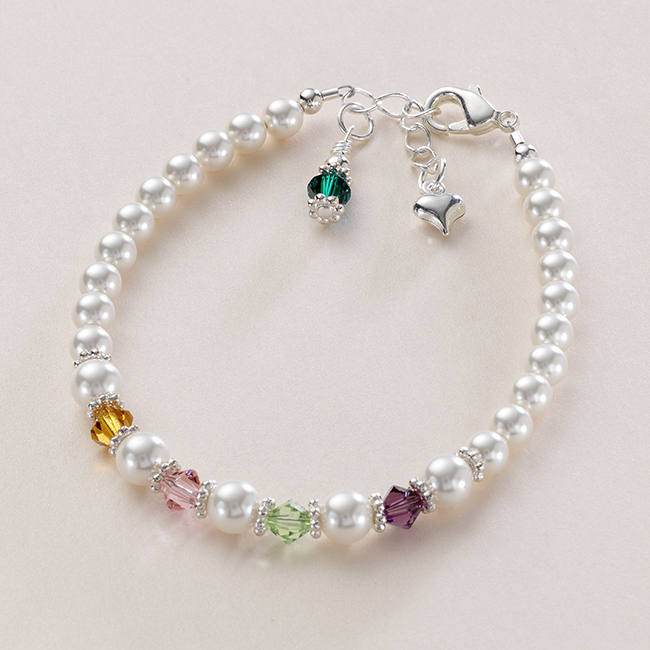 Up to nine birthstones can fit on an adult size bracelet. Made with Sterling silver parts and sparkling white Swarovski pearls. « Beautiful Pearl and Crystal Bracelet with Engraved Flower Girl or Bridesmaid Charm.